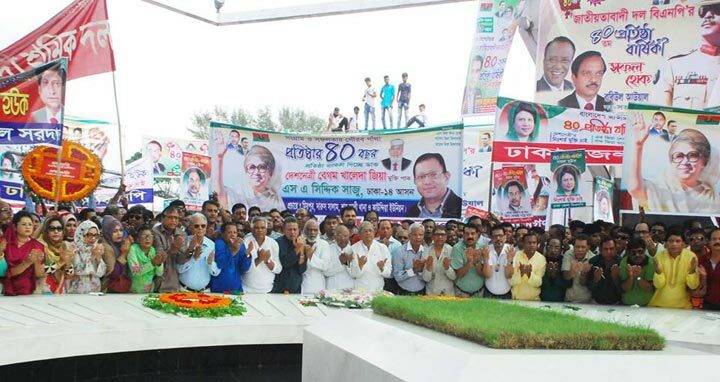 Dhaka, 1 September, Abnews: BNP’s public rally marking its 40th founding anniversary began in front of its Nayapaltan central office with the participation of its huge leaders and activists. The rally formally began around 2pm with recitation from the holy Quran. Huge law enforcers have been deployed in and around the rally venue. On Friday night, the Dhaka Metropolitan Police (DMP) permitted the party to hold the rally with 23 conditions. On September 1, 1978, late president Ziaur Rahman founded the party wooing leaders and activists from different parties with a 19-point programme to build as a 'self-reliant Bangladesh'.